My mother-in-law said something to me last week on Thanksgiving that I will never forget. She said (in Spanish but I will share it in English), “I’ve known you for 17 years & from the very beginning I knew that you were very intuitive & your judgment of character is sharp. I admire that about you & that is why I value your opinion”. It meant so much to me that she shared that with me & I love her dearly for that. Right there in her kitchen, her words testified that over the course of 17 years my behavior has been consistent proving the kind of person that I am not only to her, but also to many others who know me personally. (For the record, to know someone personally, you really need to spend significant time with them & not just interact with them on social media or at a few social gatherings). I’m the type of person who wants to see the good in everyone, but I will also see your ratchetness from light years away. I give people more chances than they deserve & sometimes I have to put my foot down & say, “Enough is enough!” I’m also very misunderstood. You know how many times I’ve gotten the “OMG, you really are so funny, cool, & nice” line after people spend some real quality time with me implying that prior to spending time with me they anticipated that I’d be boring, dry, and/or mean? I’ve gotten that line since High School. We all have our pre-conceived notions about others; it happens & it’s even normal. The trick is to try to give others a fair chance as we really don’t know them. Now comes the meat & potatoes of this blog post. THE MAJORITY OF THESE PEOPLE ON SOCIAL MEDIA ARE NOT YOUR FRIENDS! Stop giving your loyalty to people who will stab you in the back at the drop of a hair comb! The Gram (Instagram) will you have tripping over things & tripping over people who couldn’t care less if you woke up breathing tomorrow. I have made very few real friends on social media & I mean VERY FEW, but these are people who I will go to war for. These people are not my blood, yet they have shown me more genuine love than others I expected it from. At times, it seems as though my skin may be tougher than leather; this place & just life in general will do that to you. However, my heart is soft & it has caused me some heart-break here & there. Still, 2017 made me stronger & wiser. Every time I fell, I got up with more strength with the help of those who truly care about me. I am giving each of you this heart-felt advice because being here (whether you are a blogger, a fan, or a hater) is not easy. I’ve seen people lose their common sense & morals just to keep up with the person in the lane beside them. Remember that not everyone in your circle is in your corner. You need to value the real people in your life and dismiss the fake ones (even if they are so-called family)! Stop holding on to people who don't care about you. God has brought strangers to my life to support me in ways that I never imagined. Even though that is the case for me, I ask that you consider the following. 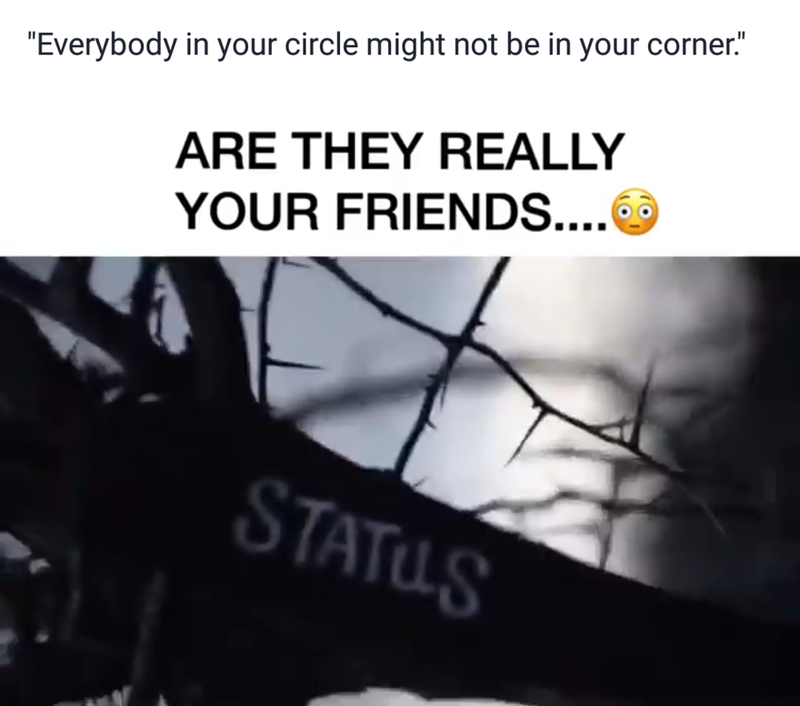 The acquaintances that you make at meet-n-greets or those people who occasionally drop a comment on your post & show you some Insta-love don’t know the real you. They don’t know that the reason you blocked sweet Hannah (fake name), who everyone else loves, is because you saw what a trifling, inconsistent, liar she was. They don’t know about the sleepless nights you have because you stay up praying that God covers your family & keeps them safe. I’m not saying that your IG friends/followers don’t matter or that they are all shady. All I am trying to make you understand is that you really don’t know many of them & you have to keep that in mind. Some of them will pretend to be your friend one day & will be wishing your hair falls out the next day. It’s all fine and dandy until you become a threat to them. I’m not suggesting that you distance yourself or that you refrain from making new friends. I’m telling you this so that you keep your eyes open. The best thing you can do here (on social media or elsewhere, for that matter) is be mindful of people’s behaviors. If the behavior doesn’t match the words, then you got yourself a red flag. I know many bloggers who try to be “drama-free” and all “love & light” on social media, but the reality is that some are behind-the-scenes gossip-driven banshees who instead of uplifting others, stomp on people. It’s a façade (a front) for many as they pretend to be all nice, sweet, and cordial for the masses. I will never forget a few months back when I was venting to someone about something that had happened to me on social media. That situation was really bothering me. This person gave me great advice & we never spoke about it again. She didn’t allow me to continue to vent about it and she didn’t co-sign my feelings either. I value her very much for that. Sometimes we think that we are showing our loyalty to our friends by condemning the person or thing that brought our friends pain & that is not always the proper move. Are your friends part of the problem or part of the solution? In a community such as the curly/natural-hair community, where there should be more comradery, there is a high degree of separation & even hatred. 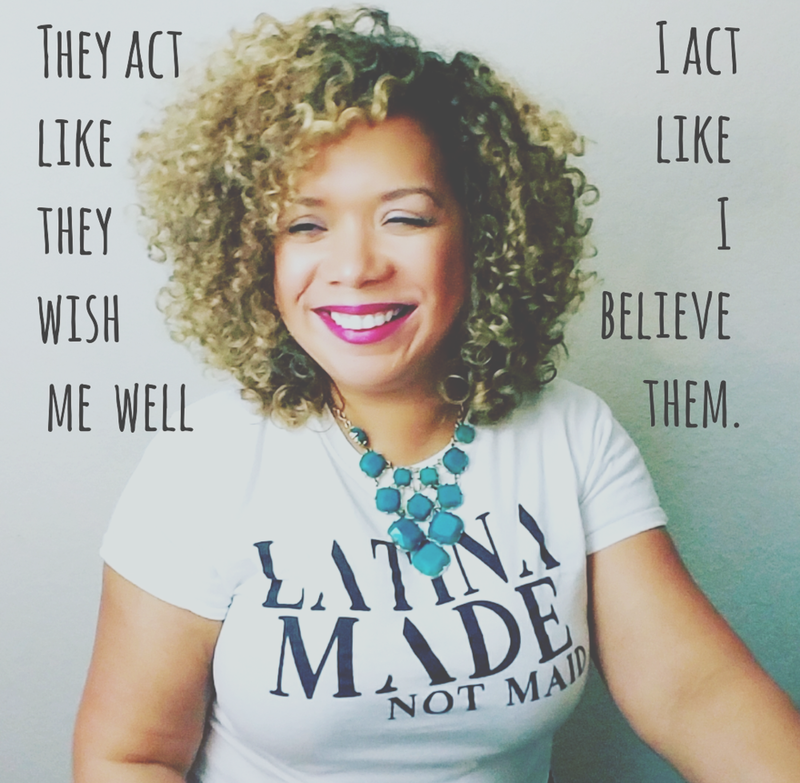 Today, when I see people scream from the hills how wonderful & supportive the curly/natural-hair community is, I cringe. I honestly do. Yes, there are many wonderful things about it & many great people are part of it, but when you’ve seen what I’ve seen and when you have experienced what I have, you can’t help but feel like you need to be very careful, especially with guarding your heart. I honestly don’t have the same mindset now in November that I had in January. Growth is a beautiful thing. I know that I’m not the only one who feels this way, but I’m one of the few who will express it. I have nothing to lose, but everything to gain because I am being true to myself. Ultimately, that is all that matters to me and I know that people value that. People are talking about you without knowing the real you? Let them. Ignore them. Sometimes God will have those same people come to your defense later in life. God is faithful and He will not let you down. Always remember that. Click on the below button to watch a video by Trent Shelton to get a better feel of what I am trying to share with you.